There are all these talking heads on sports television these days (radio too) telling us the “inside story” on what trades might be in the works. Drives me crazy! Personally, I don’t want people telling me what might happen (but usually doesn’t). I want people giving me analysis when something DOES happen. And, for me, I don’t care who breaks the story. I care about who covers it best. Admittedly, I don’t exactly have my ear to the ground for these types of things, but for all the talk that he’s been on the block over the past year (and for all those Leaf fans who’ve been wishing they’d trade him for even longer than that), when the nine-player deal that sent Dion Phaneuf to the Senators was announced yesterday, it was amazing to see how fast it got done … and how little had leaked out beforehand. 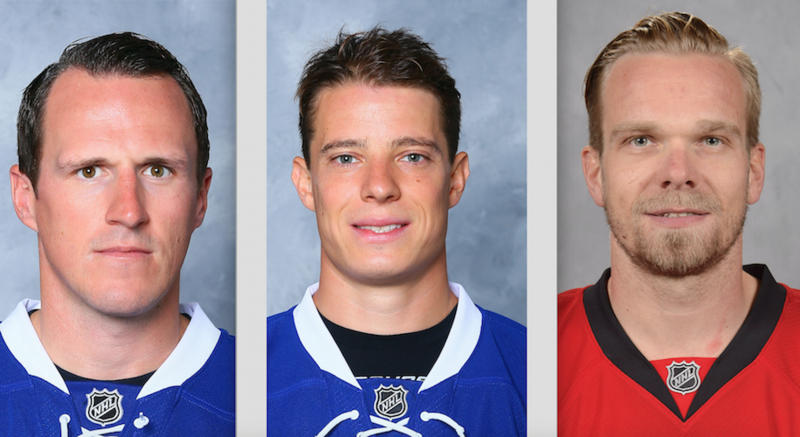 Dion Phaneuf and Matt Frattin are among the Leafs leaving for Ottawa. Milan Michalek is one of the Senators headed to Toronto. Nine players, and millions of dollars in salary, were swapped between Toronto and Ottawa. Even accounting for inflation, that’s a lot more money than the deal that was considered the biggest in hockey history when the teams from these same cities were last involved in a major blockbuster. And it’s not likely that this deal will have the same immediate impact on the Maple Leafs as the trade to acquire King Clancy on October 10, 1930 (not October 11, as most sources indicate). The Ottawa Senators had been the top team of the early 1920s, winning the Stanley Cup in 1920, 1921 and 1923 when the NHL had only four teams and still had to compete with other leagues for the top prize. Even after the NHL expanded to 10 teams in 1926-27 and took over control of the Stanley Cup (for all intents and purposes), the Senators won it again that season. But with six of the league’s teams now in the United States, and Toronto and Montreal both much larger than Ottawa, the Canadian capital was the smallest market in the NHL by far. In order to survive, the Senators began selling off their stars; Cy Denneny to Boston, Hooley Smith and George Boucher to the Montreal Maroons, Frank Nighbor to Toronto. On August 20, 1930, a headline story on the front page of the Ottawa Journal confirmed that the club was willing to entertain offers for King Clancy and that teams had begun making inquiries about the Senators captain and star defenceman. King Clancy and John Gallagher. 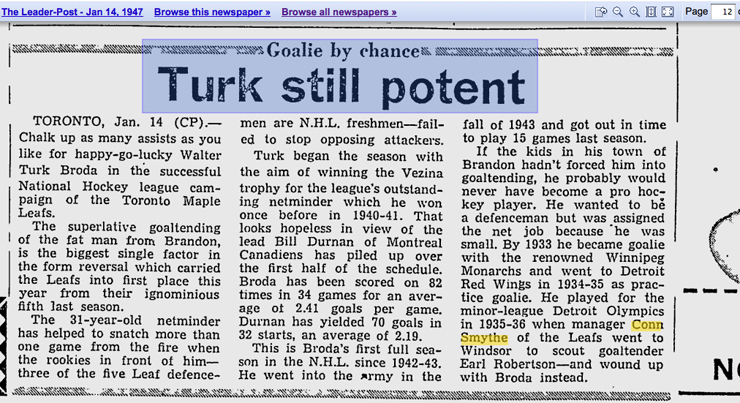 Indeed, Conn Smythe left Toronto for Ottawa about October 5, announcing (as The Globe reported on October 7) that he would return with Johnny Gallagher in his possession, “or some better player.” A similar report appeared in the Ottawa Journal that same day under a headline atop the sports page stating: SMYTHE WANTS CLANCY. A day later, the Globe, the Journal and the Toronto Star (undoubtedly other papers too) announced that Toronto had been given an option on the Ottawa captain. The Star also noted on its front page on October 8 that Smythe had announced the directors of the Toronto Maple Leafs would be asking the fans for their opinion on whether or not King Clancy was worth a price of $35,000 plus two players. This ad appeared in Toronto’s Globe newspaper on October 9, 1930. The directors of the Toronto Maple Leaf Hockey Club unanimously resolve to exercise their option on player ‘King’ Clancy with Ottawa. The directorate also appreciate the tremendous enthusiasm and support displayed by the fans of Toronto and all Ontario in this matter. 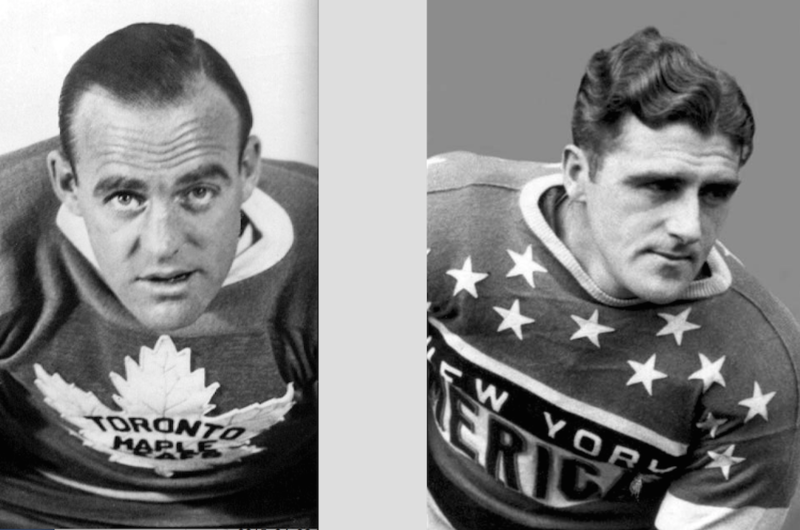 The Maple Leafs gave up Art Smith, Eric Pettinger and $35,000 for King Clancy. They made the playoffs in 1930-31 for just the second time in six seasons. A year later, they opened Maple Leaf Gardens and won the Stanley Cup. Soon, with Foster Hewitt broadcasting their games from coast to coast in Canada, the Toronto Maple Leafs were a national institution. Jim Hendy worked on what he called The Hockey Guide until 1951, after which he turned over the book to the NHL. 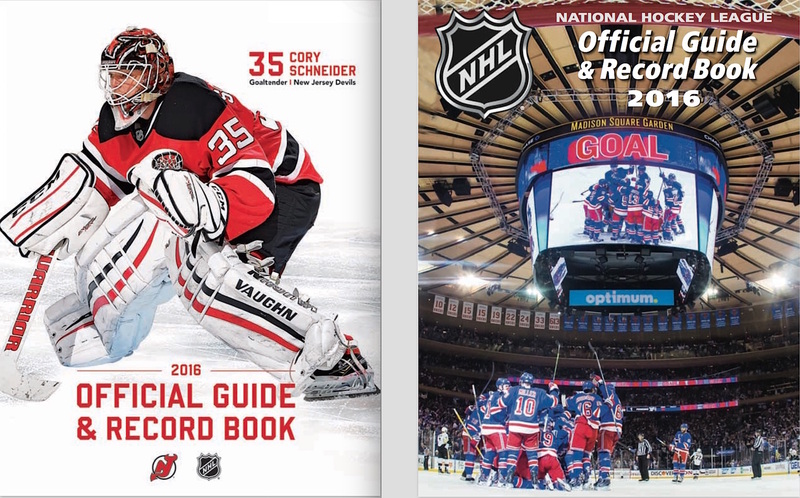 Through expansion after 1967 and right into the 1980s, the book maintained its “pocket” format, although as the NHL grew from six to 21 teams it was split into two books: a Guide and a Register. In 1984, Dan Diamond proposed a reorganization and redesign that saw the NHL Official Guide & Record Book remodelled into magazine-sized pages including photographs for the first time. Dan’s first Guide was 352 pages. Over the years, it’s grown to 672 pages! 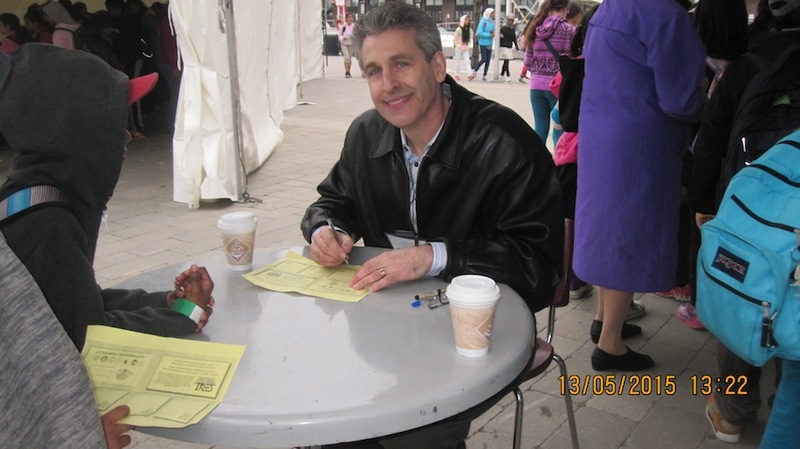 I’ve been working with Dan Diamond & Associates since the summer of 1996. Among the many jobs I do, it’s been my responsibility for the last decade or so to assemble statistical panels for newly drafted North American players that will appear in the Guide’s Prospect Register for the very first time. As often as possible, we like to include a line of statistics from a player’s last year of minor/youth hockey before he moved up to Junior A or college. There are many web sites that aid the cause these days, though I always like to double-check (and often triple-check) what’s on any stats-specific site against what’s on a league or a team’s web site. Every summer, there are numbers that don’t match or can’t be found, and can only be resolved by contacting a team, or a coach, or a parent directly. It’s always fun talking to a proud coach or parent in the weeks after a young player has been selected in the NHL Draft. This past spring (even before the NHL Draft was held), I had the opportunity to “talk” via email with Connor McDavid’s father to try and clarify his son’s statistics from his last year of midget hockey with the Toronto Marlboros of the GTHL. I had noticed that while every stats site seemed to have the same amazing totals for McDavid’s spectacular 2011-12 season (88 games, 79 goals, 130 assists, 209 points), none of the sites that broke down his numbers into season games, playoff games and tournament games showed the same results. A big deal? Not really. But I thought that if Connor McDavid was going to be the next great NHL superstar everyone believes he will be, it would be nice to get it right! Turns out, Connor’s father felt the same way. I contacted the Marlboros (who, I know, from past years, do not officially keep statistics for their players) and they put me in touch with Brian McDavid, who had tracked all of his sons stats that season. “Please don’t lump me into the ‘crazy hockey dad’ category for doing this,” he wrote, “but I felt Connor had a chance to be a significant player in the game in the future and … that his season would be lost from a statistical view if I didn’t do it myself.” He sent me an Excel sheet showing Connor’s performance game-by-game, not only for the Marlboros that season but also for his team at the PEAC School for Elite Athletes in North York (a Toronto suburb). So, while we can’t match the up-to-the-minute aspect of the many sports web sites out there these days, you’ll be hard pressed to find any one site on the Internet that can give you all the information as neatly and concisely as that contained in the NHL Official Guide & Record Book … and I dare say you’ll have an even harder time finding one that does so with such attention to detail. 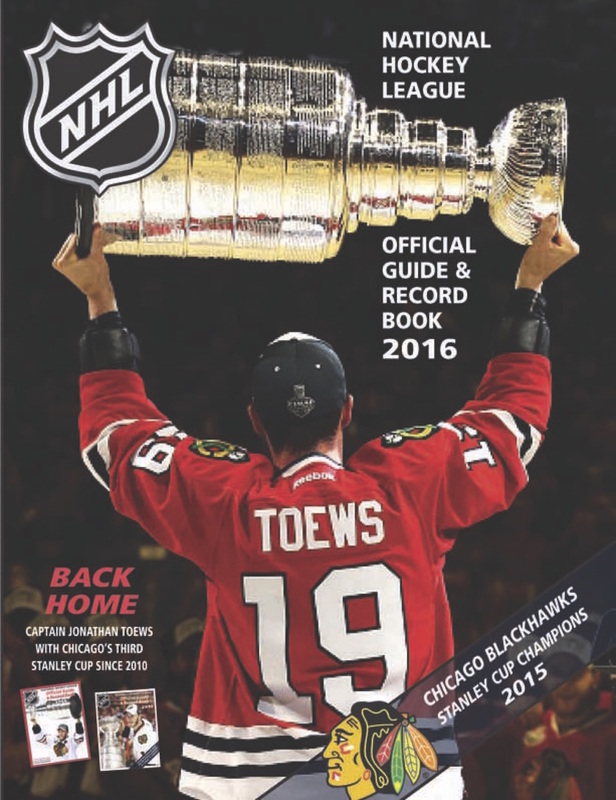 This year’s Guide will be in bookstores in early September. 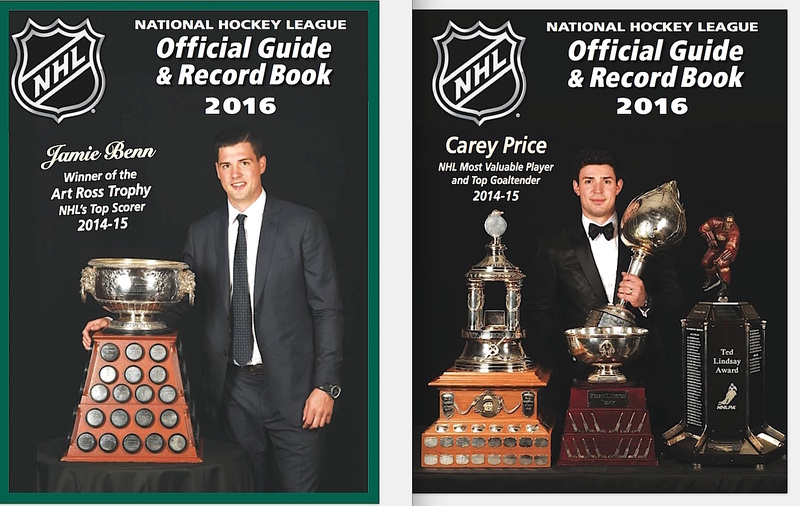 Or you can order it online right now at the dda.nhl eBay site. The Silver Birch Awards ceremony was held in Toronto at the Harbourfront Centre on May 13. 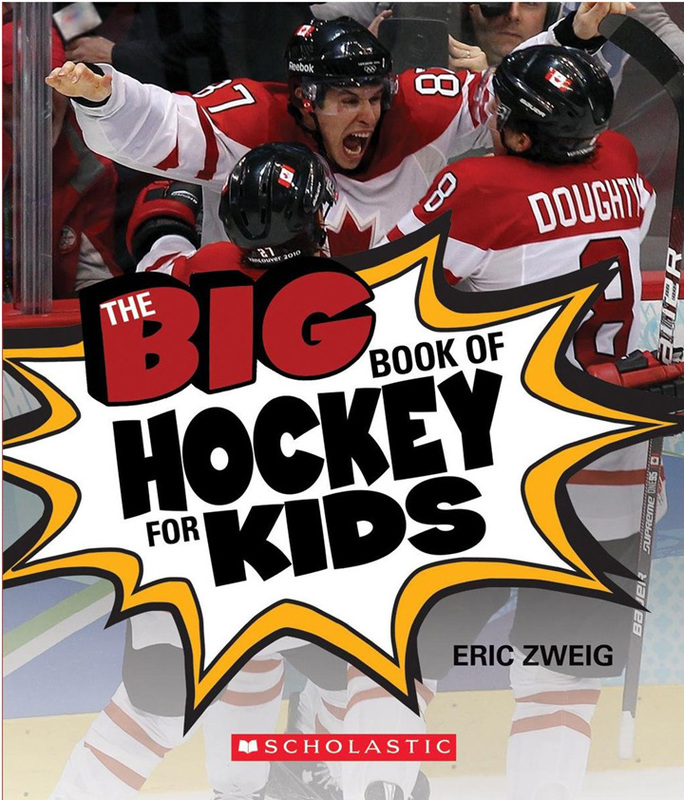 While I admit I would have liked to have won for “The Big Book of Hockey,” winning and losing isn’t really the point. 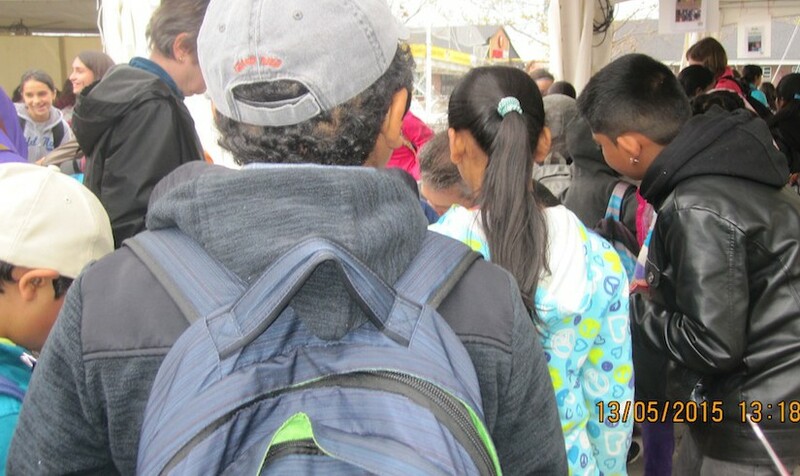 The point is to get children excited about books, and they certainly seemed to be! 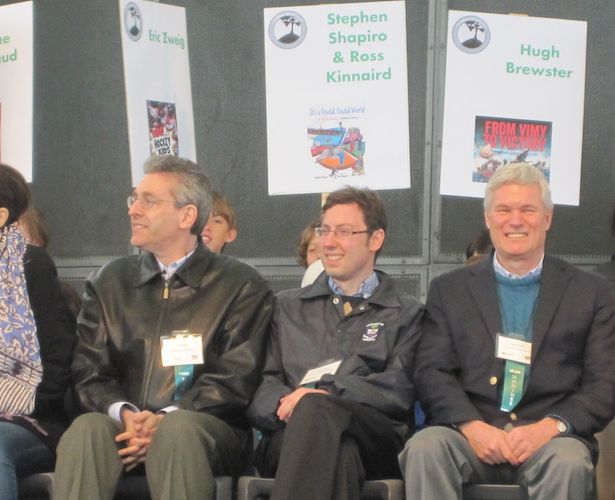 On stage with fellow nominees Stephen Shapiro and Hugh Brewster. Annaleise Carr was the winner in my category for her book “Annaleise Carr: How I conquered Lake Ontario to help kids battling cancer.” She’s practically still a kid herself (only about 17) and swam the lake when she was 14. Pretty amazing … but her mother told me at an event a few days later in Whitby that Annaleise’s younger brother voted for my book! Everyone also seems to be in agreement that this is the first time the Maple Leafs have fully committed to a youth movement. That’s not entirely accurate. Though this does appear to be the beginning of the first true rebuild since the introduction of the NHL Entry Draft (originally the Amateur Draft) in 1963, it’s certainly not the first one in team history. 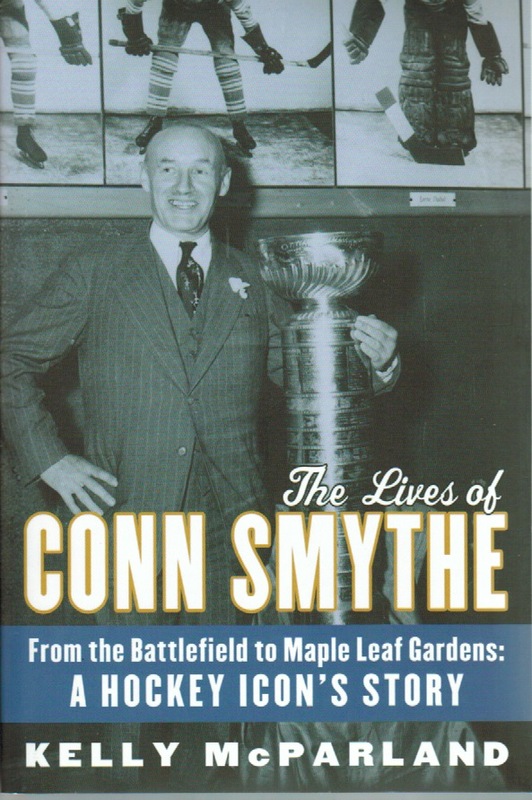 After giving up day-to-day control of the Maple Leafs while serving in the Canadian army during World War II, Conn Smythe resumed full charge of the team for the 1946–47 season. Toronto had won the Stanley Cup in 1945 only to fall out of the playoffs the following season, so Smythe and coach Hap Day decided a complete overhaul was necessary. 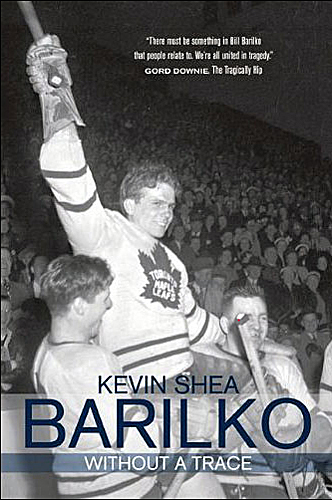 Seven of 21 Leafs players from 1945-46 were traded, released or encouraged to retire. Another four were sent to the minors. The team would go with youth, and though Smythe couldn’t guarantee success, he promised that no team in the NHL would work harder than the new crew he assembled. Conn Smythe admitted that he was critical of the 1945–46 version of the Maple Leafs not because they’d missed the playoffs a year after winning the Stanley Cup, but because they had the fewest penalty minutes in the NHL. He vowed that would never happen again under his watch. In his 1980 autobiography, Smythe wrote that he couldn’t remember when he first uttered his famous motto, “If you can’t beat ’em in the alley, you can’t beat ’em on the ice.” He also wrote that his motto was often misunderstood, stating that he didn’t want his players to be bullies, he simply wanted them to refuse to be bullied. Still, while no newspapers appear to quote him using the “alley” expression during the rebuild in 1946, it became pretty obvious that Smythe wanted tough guys in his youth movement. To reshape his team in the image he wanted, Smythe turned to the young players he already had in his farm system, which had been built by Frank Selke, who was now in Montreal after falling out with his longtime boss. Smythe reasoned that if the Leafs had to lose he’d rather lose with youngsters than with veterans and so on September 20, 1946, a week before training camp opened in St. Catharines, Ontario, the Leafs held what would now be called a “prospects camp.” The best from that group were invited to the main camp and were there when Smythe delivered his forceful address. With a team that refused to back down from anyone, the Maple Leafs finished a surprising second behind the Canadiens in the regular-season standings. Frank Selke was critical of Toronto’s style all season, and early in the year he accused Maple Leafs defensemen of using “wrestling tactics.” There was plenty of rough stuff when the two teams met in the Stanley Cup Finals … which Toronto won to launch the club’s first dynasty. It’s unlikely the rebuild will go quite as quickly this time! 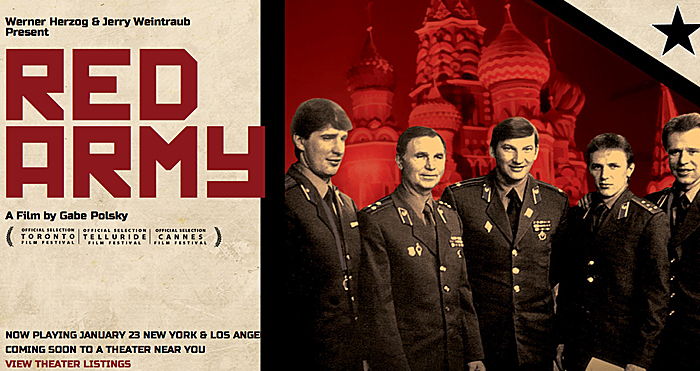 Last week, on the night before it opened in Toronto, I attended a screening of Red Army – a documentary about the Soviet national hockey team. It was followed by a question-and-answer session with the director, Gabe Polsky, and Roy MacGregor of the Globe and Mail. I’m not sure how widely available this film is yet, but I known that it’s already playing in New York and Los Angeles and now Vancouver too. If it’s playing anywhere near you, go and see it! I won’t be the first one to say it’s not really a film about hockey. The director (who is an American) willingly admits it’s a movie that was made to show Americans about life in the Soviet Union by using hockey – and the story of Viacheslav Fetisov’s desire to escape the oppressive regime of coach Viktor Tikhonov. I think most Canadian hockey fans of a certain age always knew that the Soviets trained 10 or 11 months of the year, and believed that they could be sent to Siberia if they failed – which seems to be true! – but I don’t think very many of us ever thought about how tough that actually was on the players and their families. Fetisov clearly loved his country, and loved being part of a spectacular hockey dynasty, but the story of how he eventually came to fight the Soviet system is fascinating … as is all of the vintage footage of life and hockey in Russia from the 1960s, ’70s and ’80s. As a Canadian, my biggest complaint would be that if you watch this movie, you’d never know that we ever beat them! But that’s not really the point. As a writer, I hate when critics complain about what’s NOT in a book, so I hate to do the same about a film. Still, it could have included something about the 1987 Canada Cup – not because we beat the Soviets in probably the greatest set of hockey games ever played, but because that tournament is said to have been a real eye-opening experience for some of the key Soviet players who wanted the chance to leave their homeland to play in the NHL – which is what a great deal of Fetisov’s story is about. 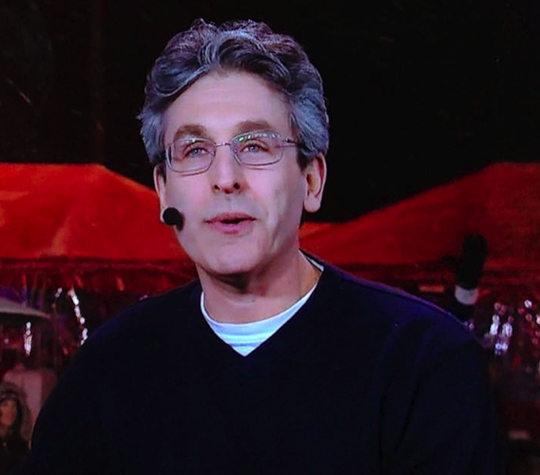 Perhaps this is something that could have been addressed by Igor Larionov, but Polsky told the audience in our Q&A that Larionov (and Sergei Makarov) would not speak with him. Also last week, I saw on TV the new Canadian heritage minute featuring the Winnipeg Falcons. Apparently, it’s been out since Remembrance Day (which makes sense!) but this was the first I knew about it. 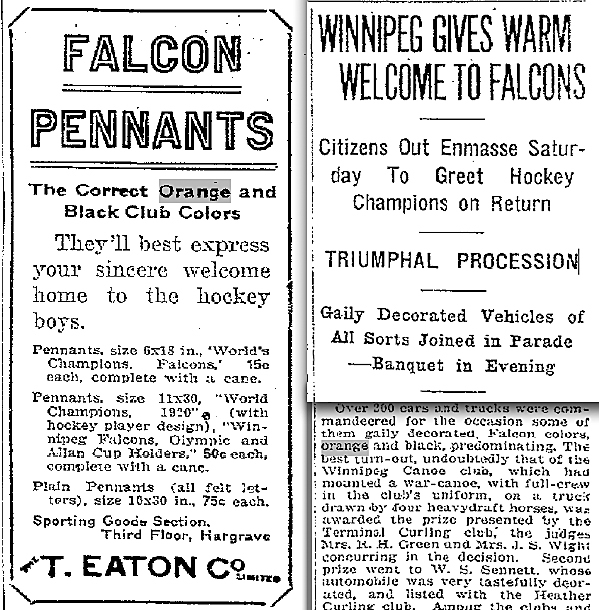 I’m a big fan of the Falcons’ story … which is, in a nutshell, about how the players overcame the prejudice against them in Winnipeg as immigrants from Icelandic families to become Canada’s first gold medalists in Olympic hockey. (My book Long Shot tells their story for young readers.) The heritage minute tells the story in 60 seconds. It plays with some facts and compresses others, but it does a great job of covering a lot of information so quickly. My one beef with it is pretty nerdy, but what can you do? The Falcons are depicted in their dressing room prior to a game at the Olympics and are shown wearing pretty good replicas of the mustard yellow jerseys they wore for the tournament in Antwerp, Belgium. (These were not the team’s regular uniforms, but were specially designed for whichever team represented Canada at the Olympics.) 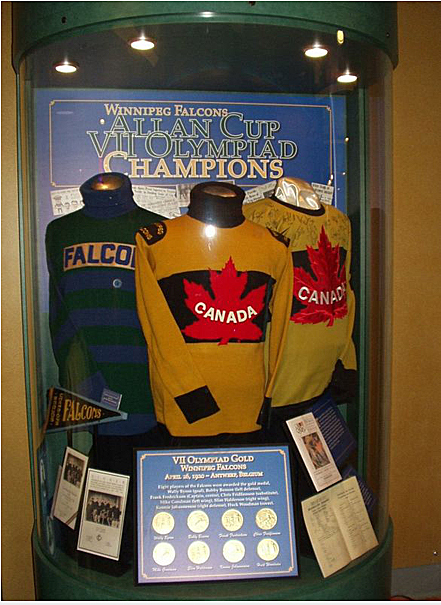 Two other green-and-blue Falcons sweaters are shown on the wall in the dressing room, representing a couple of former players who died while serving their country in World War I. (All of the Falcons who were of age signed up.) 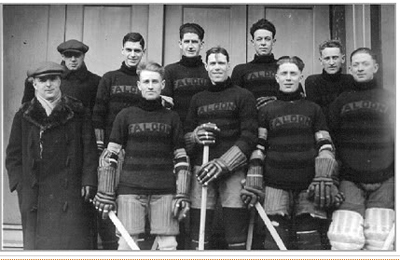 The sweaters are a nice, artistic touch, and my complaint is not that these dead players probably never wore them (as I believe they were new for the 1919-20 season), but that it’s highly unlikely they were green and blue! The fault (though that’s probably too strong a word) most certainly lies with the display honoring the Falcons that’s been at the MTS Center (and is shown above) in Winnipeg for several years. I’m not sure how they came up with those green and blue colors. All my research indicates that the Falcons pre-Olympic sweaters were actually orange with black stripes and collars … which I also happen to think is a much better match if you try to imagine the colors from the black-and-white team photograph. 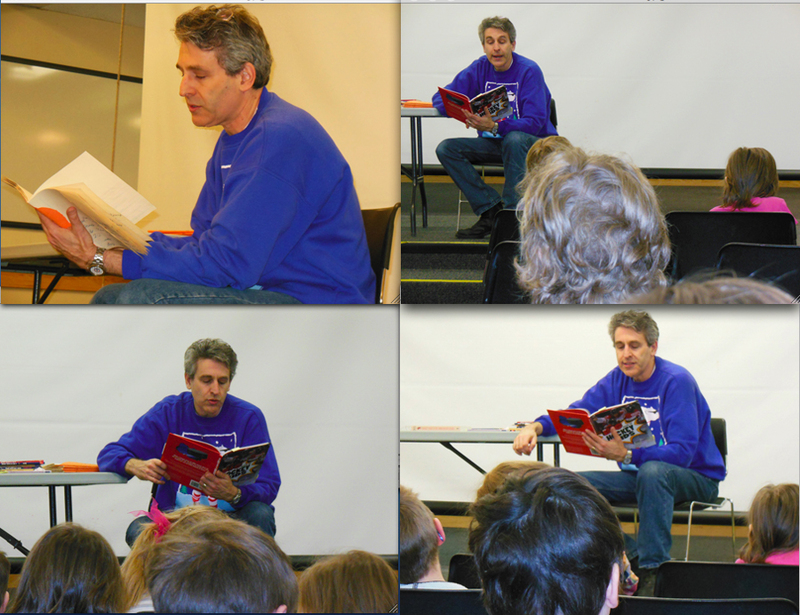 A recent visit to the Owen Sound Library with grade 3 and 4 students from Dufferin School. I’m reading from my old grade 5 news books, which were filled with sports stories instead of current events, and sharing stories from The Big Book of Hockey for Kids. 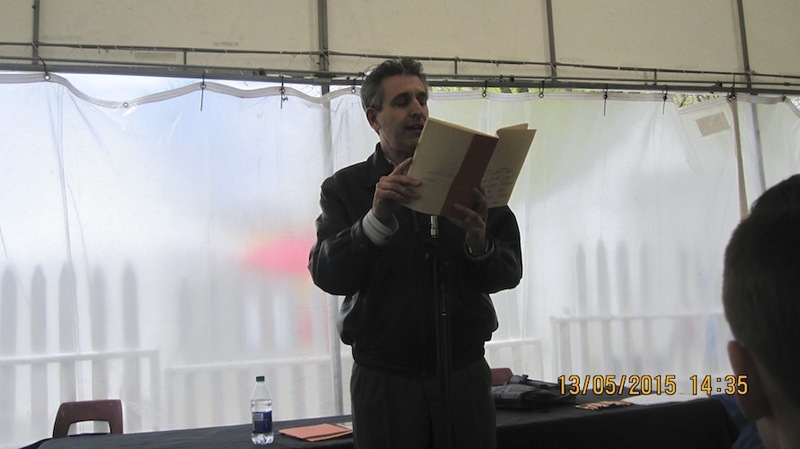 If you’d like to bring me to your school or library, please click on the Speaking link at the top of this page for more information. I’ve been watching Ron MacLean on television for more than 25 years. A couple of years ago, I got in touch with him for a segment I was doing for my book The Big Book of Hockey for Kids. He was very friendly and extremely helpful, not to mention very complimentary of my past work! When I found out in October that Owen Sound would be a host city for one of the Sunday night broadcasts of Hometown Hockey, I got in touch with Ron, and while it was already too late to produce a full segment for the broadcast, I have stayed in contact and he and producer Travis Formosa invited me to come on the air for a very quick discussion of the 1924 Memorial Cup champion Owen Sound Greys, which took place during the second-period intermission of last night’s game. I had never actually met Ron in person until last night, and I must say that he could not have been nicer. As I said to him (and I hope this doesn’t embarrass him), it’s always a treat when the people you admire turn out to be even nicer in “real life” than you imagined they would be. The story I had originally pitched to Ron was about the fact that so many of the 1924 Greys had actually grown up in Owen Sound. Three of them (future NHLers Butch Keeling and Teddy Graham, plus star goalie Hedley Smith, who was just 16 years old in 1924) grew up within a few blocks of each other on the same street. All three attended the Victoria School (which was also on the same street), and were all coached by Henry Kelso (for whom Kelso beach in Owen Sound is named … and who also lived on the same street!). But watching the broadcast before I arrived at the “truck” it was obvious that the story we had to tell was just how ravenously the fans of Owen Sound had supported the Greys back in 1924. Huge crowds turned out in the streets during the playoffs to get the scores of the game by telegraph outside the local newspaper office, and a crowd of 8,000 (in a town of 12,000) turned out to greet the team in a parade from the CNR train station a few blocks to the Market Square. The old newspaper reports are quite remarkable. – The Greys were 22-2-2 during the 1923-24 season. – one of their losses and both of their ties came in the second game of total-goal series when they already had big leads after the first game. 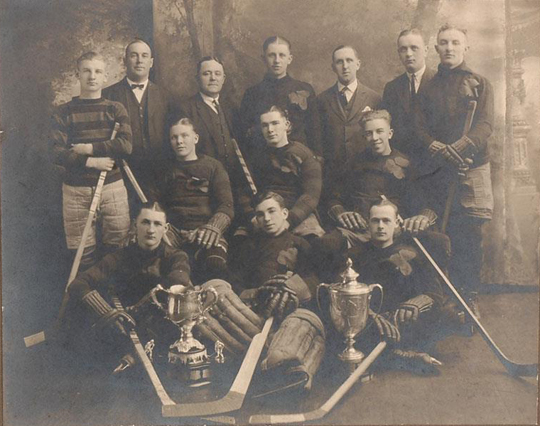 – The Greys were the only team in their division in the 64-team OHA junior circuit in 1923-24, and played exhibition games against other OHA teams all season before embarking on the regional playoffs. – Ralph “Cooney” Weiland was one of the few non-locals on the team, coming to Owen Sound in 1922 to attend school. He led the team with 68 goals in 25 games! – Butch Keeling had 62 goals in 26 games. -The Greys outscored their opponents 204-69 during the season. – They defeated the Calgary Canadians to win the Memorial Cup in a two-game series played in Winnipeg, winning the first 5-3 and tying the second 2-2 to take the series 7-5.